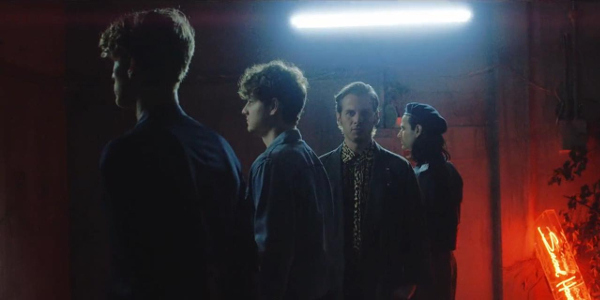 An indie pop band formed in 2009, Foster The People with four members – lead vocalist Mark Foster, lead guitarist Sean Cimino, keyboardist Ismo Innis and drummer Mark Poitius – achieved success when they released their debut album Torches in 2011 with nearly two million album purchases. Their debut album feature their number 1 hit single, Pumped Up Kicks and other hits like Don't Stop (Color On The Walls), Houdini, Helena Beat and Call It What You Want. In 2014, they released their second full-length album which is influenced by Mark Foster's world travels. It included hits like Coming of Age, The Truth, Best Friend and Nevermind. Three years later, they release their third album, Sacred Hearts Club, and they're playing in Manila for the second time at the KIA Theater this Friday, January 26 to promote it. And what better way to get pumped up for the concert than listening to this playlist with all their new and classic hits? Foster The People live in Manila is produced by Wilbros Live. Like Foster The People on Facebook and follow them on Instagram for exclusive updates.